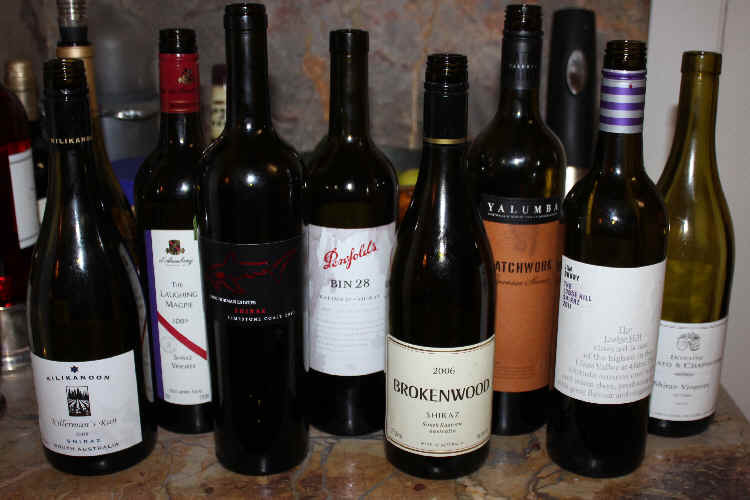 We put together some well-regarded producers of Australian Shiraz, selecting wines of relatively modest price level to see if there are wines of interest. Greg Norman Estates is a relatively new brand as is the partnership of US wine Importer Terlato and its Rhone Valley producer, Chapoutier. Wineries such as Brokenwood, D'Arenberg. Yalumba, Penfolds, Jim Barry and Kilikanoon have good reputations in the international wine market. 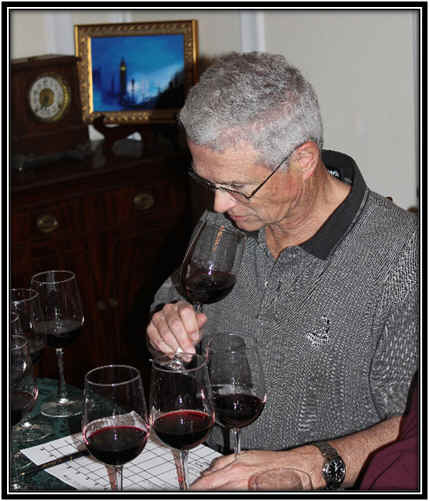 We chose wines currently in distribution so the tasting featured wines from 2009, 2010 and 2011. The Brokenwood Shiraz turned out to be a 2006 vintage! As for the set of wines, I did not hear any hugely enthusiastic applause from the tasters and this somewhat mirrored my impression of the wines: perfectly drinkable, standard quality wines but none of these was exceptional and worth a search. In fact, the overall quality was fairly even and this we can see in the "numbers." 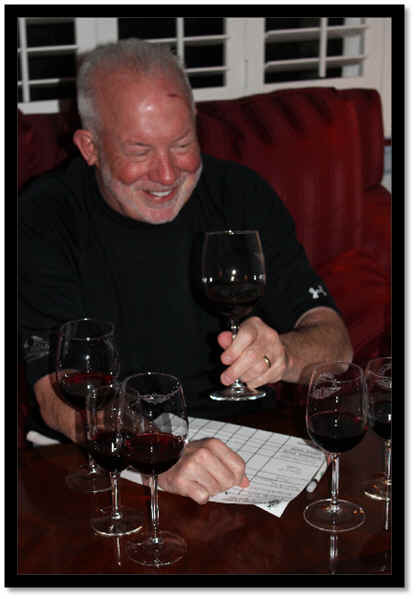 Four wines were in the upper division of the tasting and these were essentially tied. The second tier were even less interesting, though none was technically flawed. Clear and medium-light ruby in color, this wine had an interesting pepper spice to it...black pepper. I was intrigued by the nose here, but then it simply had an odd flavor. Medium-light in body with a note of pepper on the palate, but the wine seemed to have an odd flavor with some green leaf tobacco notes. It fell apart on the palate and was simply strange. No stars on my 3 star scale, signifying a wine of ordinary quality. 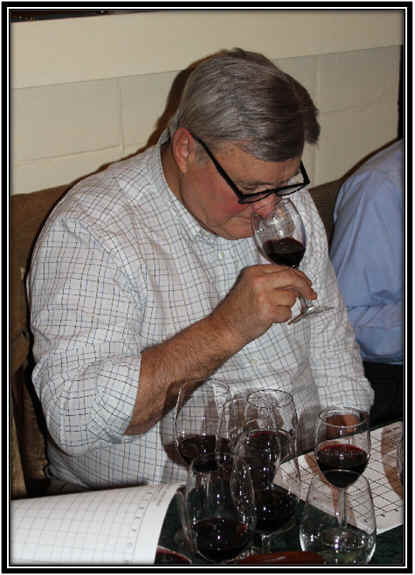 7th Place: JIM BARRY 2011 Clare Valley "The Lodge Hill Shiraz"
My ranking of this wine was at odds with the group ranking! I found a clear wine of medium ruby color. The aromas reminded me of violets and dark berries...seemingly classic Aussie Shiraz. It's dry and moderately acidic, with medium body. 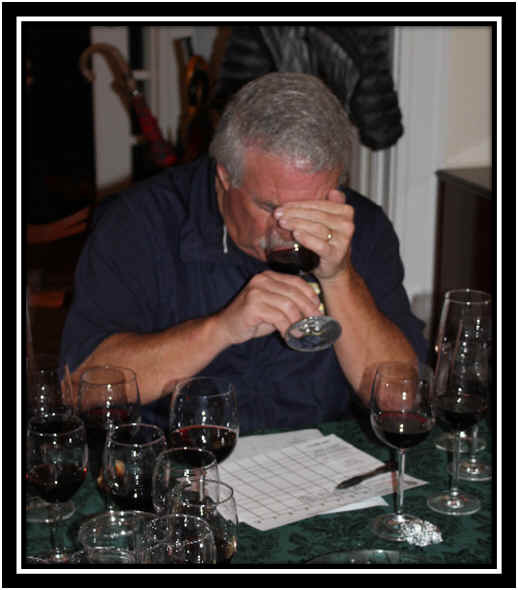 I felt the nose was a bit more interesting than the flavors, so the wine came up short on the palate. I gave it a lukewarm one star rating as it was, for me, the most interesting and typical wine in the line-up. One other taster ranked this highly and nearly half the group gave this a "thumbs down" vote. Clear in appearance and showing medium-light ruby color, I found a mildly spicy note on the nose here with a faint suggestion of wood. It's dry and medium to medium-light bodied. Nothing special. Not bad, though, but it seemed merely a superficial red wine. Medium ruby in color and clear in appearance, this did not show its age in terms of color. It did show its age on the nose, however, as I felt it had a woodsy tone with a mildly tarry character. I associate this with mature wines, anyway It's dry and medium-bodied. On the palate I found a faintly berryish red wine with a touch of a smoky note...again, nothing special...No stars. Clear in appearance and with a deep ruby color, this wine had a nice nose of black fruits and a degree of ripeness. It's a bit potent (it seemed) with a hint of dill and a woodsy tone on the nose. Dry and moderately acidic. It's a medium-bodied Shiraz, but it seemed less flavorful than I'd expect based upon the nose. There was a measure of interest from the aroma and bouquet, but the flavor of the wine was short and shallow. I gave it a half-star rating, being charitable. Clear in appearance and medium ruby in color, this wine showed ripe fruit with a hint of berries...cooked berries? Jam? 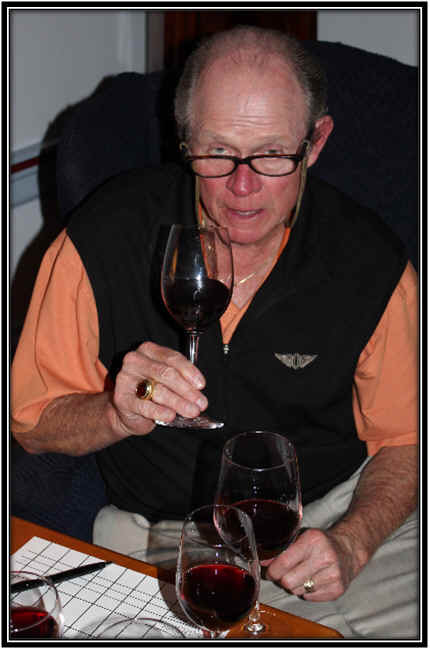 But it is merely a simple red wine on the nose with no particular varietal definition. I found it to be dry and flat in terms of acidity. Medium to medium light in body. I could describe it as merely "vinous." Wine like. It's really modest quality red wine dressed up as a premium wine. Sorry, but this didn't make the cut in my world. No stars. 2nd Place: D'ARENBERG 2009 McLaren Vale Shiraz-Viognier "The Laughing Magpie"
Medium ruby in color and clear in appearance, this wine showed nice dark fruit aromas and a faint suggestion of aging in an oak barrel. I thought the nose was promising. It's dry and moderately acidic. Medium bodied. 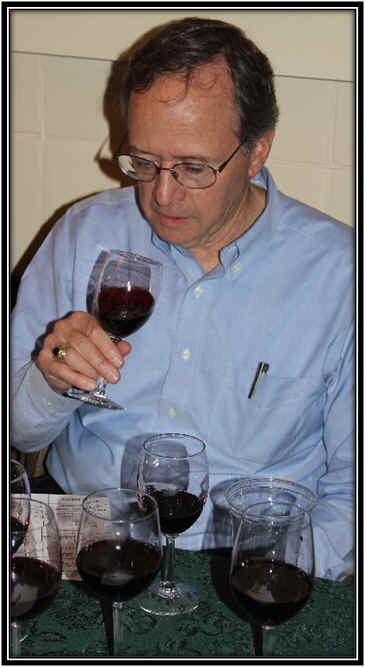 But it falls off on the palate, being a simple, decently drinkable 'little' red wine. It's not a wine which really expresses the Shiraz grape or Australian terroir in my view. A half star rating here. 1st Place: KILAKANNOON 2009 South Australia SHIRAZ "The Killerman's Run"
Clear in appearance and medium-deep ruby in color, this wine offered a fairly jammy note with strawberry or raspberry jam notes. There was an earthy, faintly woody and slightly tarry note on the nose, too. It's dry and light in terms of acidity. Medium bodied. I noted this as a standard, decent red wine with mild berry fruit on the palate. Soft...nothing special. No stars from me, though more than half the tasters had this ranked highly.